As a single mother returning to the Crow Reservation, Leigh Ann found herself struggling to find employment. Thanks to the WoRC program, she is able to earn a living after gaining new jobs skills. 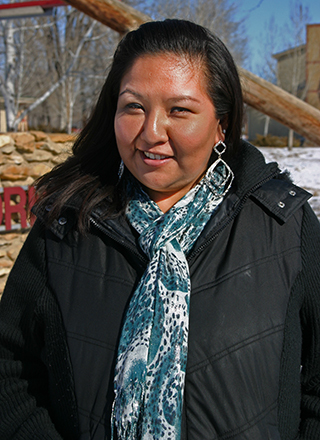 When Leigh Ann left the Crow Reservation, it was with her husband and family heading to a job and a better life in Utah. When she came back six years later, it was as a single parent of three looking for work. Leigh Ann’s experience at the college was such a positive one, once her contract was up she enrolled as a student. Leigh Ann says that she tells everyone she knows about her experience and the great programs at HRDC.